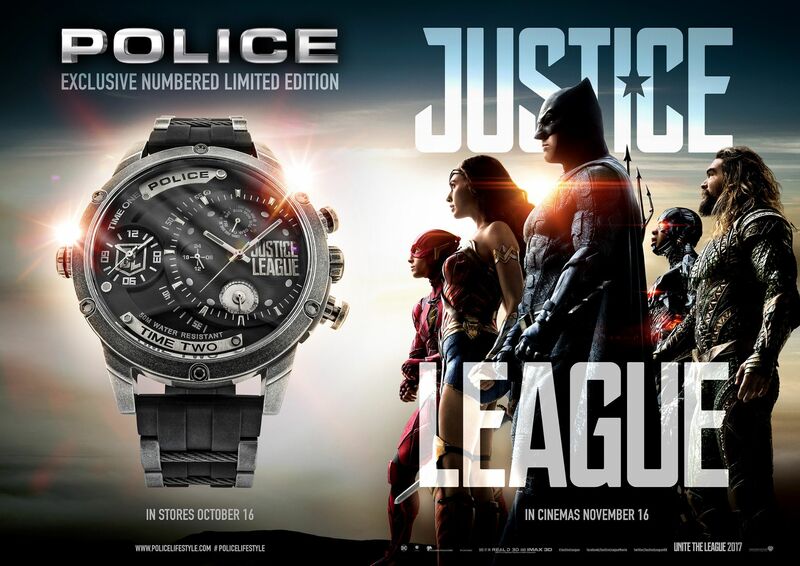 Police have designed a limited edition watch to celebrate the release. 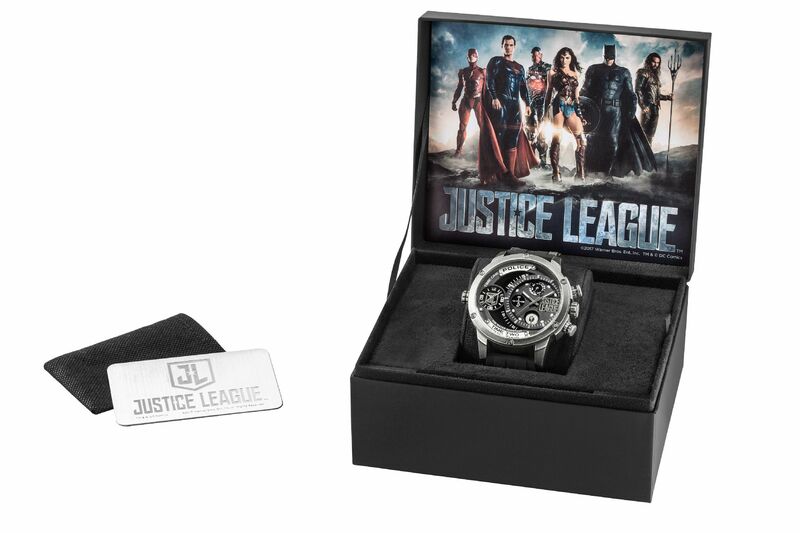 The unique timepiece features the Adder case, with unique antique stainless steel casing, and smoke grey mineral glass cover, with a black dial featuring JUSTICE LEAGUE detailing. 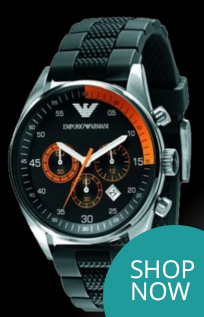 The watch features a dual time zone, fastened on a silicon strap. Packaging: Watch is supplied in a Special edition Police box, outer protective box and sleeve. Includes COA & instruction Manual.